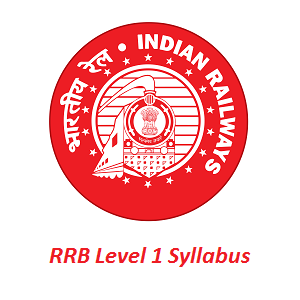 RRB Level 1 Syllabus 2019: The higher officials of had announced the notification to fill 103769 Assistant (Work Shop), Assistant Bridge, Assistant C and W, Assistant Depot (Stores), Assistant Loco Shed (Diesel & Electrical), Assistant Operations (Electrical), Assistant Pointsman, Assistant Signal & Telecom, Assistant Track Machine, Assitant TL & AC, Assitant TL & AC (Workshop), Assistant TRD, Assistant Works, Assistant Works (Workshop), Hospital Assistant, Track Maintainer Grade IV Posts under the employment notice RRC-01/2019. So start preparing for the exam by collecting the Railway Recruitment Board Syllabus 2019. In the upcoming sections, competitors can get data such as indianrailways.gov.in Exam Pattern 2019, and रेलवे नियुक्ति संस्था Selection Process. The higher authorities of the Railway Recruitment Board (RRB) had decided to conduct the RRB exam in the month of Tentatively Scheduled During September – October 2019 at various examination centers. The list of examination centers will be displayed in the official site of रेलवे नियुक्ति संस्था @ indianrailways.gov.in. Applicants who have not yet applied for the RRB Level Recruitment 2019 apply on or before 12th April 2019. Candidates can notify the RRB Level 1 Syllabus 2019, and attend the Assistant (Work Shop), Assistant Bridge, Assistant C and W, Assistant Depot (Stores), Assistant Loco Shed (Diesel & Electrical), Assistant Operations (Electrical), Assistant Pointsman, Assistant Signal & Telecom, Assistant Track Machine, Assitant TL & AC, Assitant TL & AC (Workshop), Assistant TRD, Assistant Works, Assistant Works (Workshop), Hospital Assistant, Track Maintainer Grade IV Posts. Candidates who are ready to attend the exam, they need to check this indianrailways.gov.in Exam Pattern 2019. This indianrailways.gov.in Exam Pattern 2019 gives the name of the subject, the number of marks, and others. Candidates who had applied for the Assistant (Work Shop), Assistant Bridge, Assistant C and W, Assistant Depot (Stores), Assistant Loco Shed (Diesel & Electrical), Assistant Operations (Electrical), Assistant Pointsman, Assistant Signal & Telecom, Assistant Track Machine, Assitant TL & AC, Assitant TL & AC (Workshop), Assistant TRD, Assistant Works, Assistant Works (Workshop), Hospital Assistant, Track Maintainer Grade IV Posts under RRC-01/2019, they need to attend the selection process. At the end of this page, we had inserted the direct link of RRB Level 1 Syllabus 2019 in a PDF format for free of cost according to the subject. Bookmark our site that is Sarkari Recruitment for more updates on RRB Level 1 Syllabus 2019. Thank You.